Voila Mattress Review l Here's What's Best For You | Grab A Coupon Now! Voila has a very similar feel and build to the Tempurpedic Hybrid line but comes in at a fraction of the price. With 12 layers there is a lot of mattresses here for a really great price. Read our Voila Mattress Review below for more comprehensive details. The Voila Hybrid Plush Mattress is a happy medium mattress with a hybrid medium-plush surface. Voila offers a firm, medium and soft. 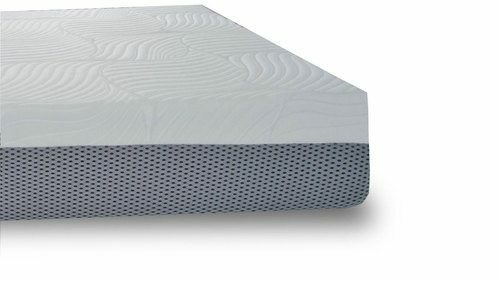 They use reliable 768 count (in queen), five-zone pocket coil construction with edge support with layers of foam, gel-infused memory-foam, Talalay latex and other performance materials. Voila Mattresses are great quality – a lot goes into them and they perform great, hold up well and have a fair price. Below we have our Voila hybrid mattress review including our comprehensive video review as well as our detailed written review. We will go through how it performs for off gassing, comfort, motion transfer, sleeping cool, edge support, value, material, trial and warranty. You want a good value – Voila has a very similar feel and build to the many high end Hybrid lines but comes in at a fraction of the price. 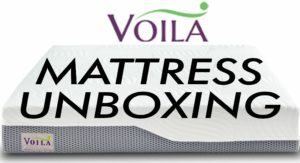 A lot goes into manufacturing the Voila mattresses but they still price them at a good price. Like to sleep cool – Foam mattresses can sleep warm. However, the design of the Voila the pocketed coil unit underneath disperses heat more efficiently then having a foam core that can trap heat. I did not experience excessive heat at all. Sleep in multiple positions – This mattress is a good medium feel with good body conformance. Sleeping on your side, back or stomach Voila will conform to your body very well. Plus you can order it in 3 firmness’s. Light side sleepers might love the soft version best. Combination sleepers may like the medium version best and stomach and back sleepers may prefer the firm version. Are a heavier sleeper – When compared to a 10″ mattress the Voila is a good option if you are a heavier sleeper. 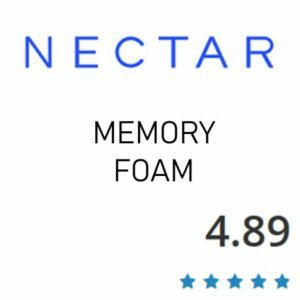 I wouldn’t recommend an all foam mattress under 11″ for anyone over 250lbs. 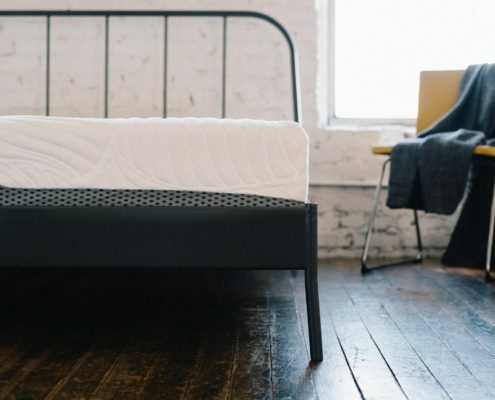 Voila will have better deep support and spring compared to a foam core mattress. I think Voila will essentially work for all body types and body weights. Like the combo of bounce and body conformance – With the coil unit in the Voila it helps maintain good bounce which makes it easier to adjust positions and not feel stuck like many of the all foam options online. With some non-hybrid mattresses you will get much more body hug and sinkage and more of a stuck feeling when laying down on the mattress. Want good edge support – Voila has foam encased edge support. 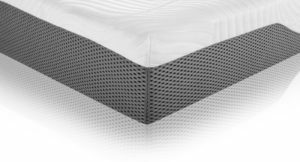 It offers a sturdier edge then most foam options making it good for sitting on the edge as well as ensuring the entire sleep surface is usable for sleeping without having a “roll out of bed” feeling. Voila performs really great in this area. Prefer no coils – Voila uses a pocketed coil unit that will feel a bit more springy than an all foam mattress. So if you are already used to an all foam mattress then you might want to stick with that design. 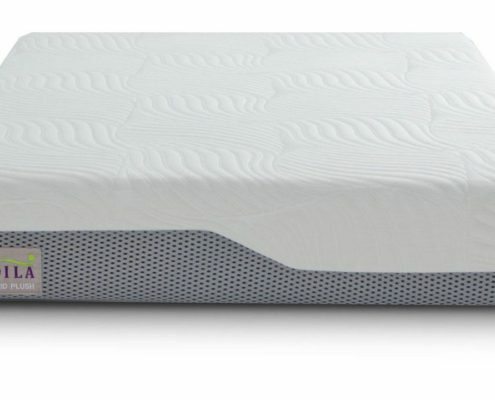 The hybrid will provide a lot more bounce and more of a traditional feel compared to a mattress that uses no coils. The first thing you will do when you get your Voila mattress is bring it to the room you will open it in. You do not want to unroll it in another room. Once you are ready to open it you can use the cutter some brands provide, if not use a scissors and be careful not to cut the fabric. As it starts opening it will expand quickly and you will only notice a slight “new mattress smell”. The Voila mattress is made in the USA so it is not roll packed very long, which helps with minimize off gassing. 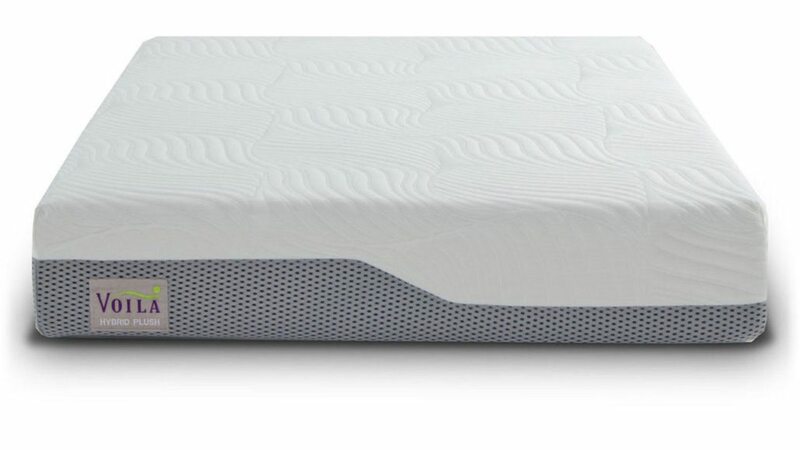 This mattress does have coils in it, however each are individually wrapped and underneath several inches of quality foams that absorbs vibrations and makes for very minimal to no motion transfer to be felt. This mattress is great for anyone who shares a bed because of this, there will be little disturbance when getting in and out of bed. Voila offers a triple choice so construction is a bit different on each. Below is the breakdown on the medium plush. The Voila has a lot going on. It is heavy duty and built very well. The hybrid design offers some of the all foam benefits combined with the benefits and support of a innerspring. The Voila Mattress can be used on any solid surface. The floor, a wood foundation/boxspring, platform with slats and it will also work great on an adjustable base. If you are going to use an old boxspring just make sure its flat and not bowed out. But generally they are still fine. Just take inspect it first. You don’t want to use it if it is not flat. The Voila is a very good choice online. I think its built very well for a bed in a box with a pocketed coil unit in it. It was heavy as well, which usually shows me its built with better materials, denser foams etc. I think this mattress works great for all sleeping positions and it also comes in a triple choice, firm, medium and soft. One other thing to note on, its a substantial mattress compared to some of the thinner 10″ options. It will work great for heaier sleepers as well compared to some of the thinner 10″ options. The Voila was a nice change from trying all of the all foam mattresses. It has good bounce underneath but still has good motion reduction. It slept very cool and was easy to adjust positions. You definitely do not get the stuck feeling on the Voila. 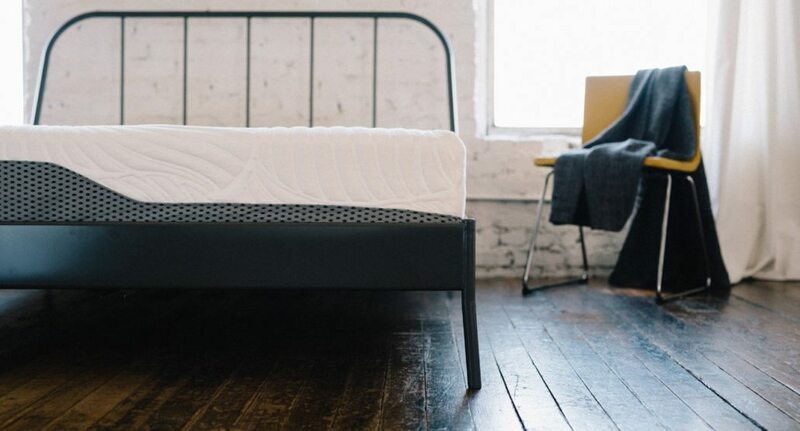 Voila has really created a premium style mattress that’s well worth the price. Instead of going to a local store to find a mattress with coils and memory foam we found Voila. We selected the plush style and are very happy with the softness and durability of the bed. We will be looking at Voila again when we need to replace another bed at our home. 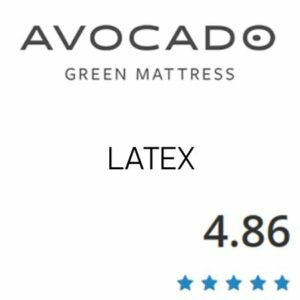 I bought this mattress after seeing a review on it. I was originally looking at getting a Tempur-Flex Supreme, which they claimed this was very similar to. Well, it wasn’t; this mattress is firmer than the Tempur, but I’m hoping the foam softens some over time. I will say that even though it’s firmer than I originally wanted, it only took 2 weeks to get used to the change. The new foam smell went away after 2 days. Before I would wake up 2-4 times in the middle of the night and wake up with a sore back in the morning. Now I sleep like a rock. My girlfriend and I don’t wake each other up anymore when either of us moves. I’ve been recommending it to all my friends because you can get the mattress and a decent platform bed frame all for under $1000. Shipping was fast; I ordered Monday and received it Thursday. I would recommend that you put on a sheet before setting anything else on it because the cover likes to grab fabric. I have to say that I love my Voila Mattress. We bought it as a Christmas present to ourselves. It’s one of the best presents we’ve ever got. Our previous mattress was horrible, this is a whole new experience! Take 10% OFF any size with our link. Discounts – Use MATTRESSINSDIERS10 & our link above to receive 10 % OFF when checking out. Voila has been making mattresses for 20+ years in the medical industry as well as the specialty bedding sector. Not being a startup company is a good thing when you consider the possibility of the company not making it which would make your warranty useless. 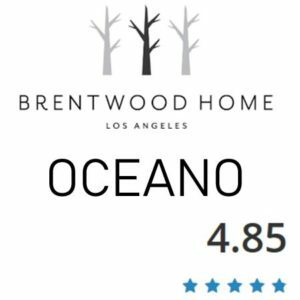 I found the owner and customer service to be very knowledgeable as well as friendly. Voila is hands down one of the best hybrids I’ve tested. Voila is a great option for those of you looking for a hybrid or people who like the smooth top but still want a little more bounce and spring support. Also, they offer a triple choice so if you like firm, medium or soft you can have a choice. Lets face it, not everyone will like the same exact feel. I enjoyed the mattress very much. In all sleeping positions my body was supported, it didn’t get hot and had little motion transfer. The company has also been in business for over 20 years which is adds more confidence at least for me that the product was well thought out and tested. 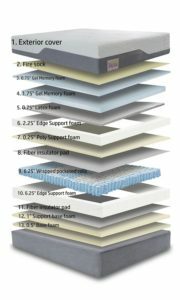 What stands out with Voila is the quality of materials and build of the mattress. Voila is above average for comfort, support, cooling, and edge support. The hybrid design has a great combination of bounce, response and body hug. It’s also offered in 3 firmness choices.